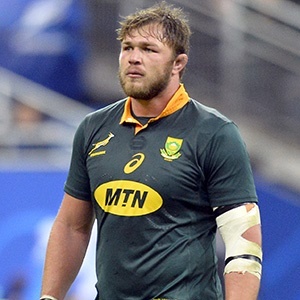 Cape Town - Springbok No 8 Duane Vermeulen is being linked with a move back to South Africa. Vermeulen currently plays for Top14 club Toulon, but it is rumoured that the current European season could be his last with the French outfit. According to the Ultimate Rugby website, a new salary cap in the Top 14 could see Toulon lose the services of Vermeulen, South African prop Marcel van der Merwe as well as New Zealand centre Ma'a Nonu. Vermeulen has also been linked with French clubs Toulouse and Racing 92, but a return to his previous SA franchise, the Stormers, is the most likely scenario. Sport24 understands that SA Rugby’s new director of rugby, Rassie Erasmus, is eager to lure Vermeulen back to South Africa and it could see the burly No 8 sign a dual contract with SA Rugby and the Stormers. Erasmus looks set to take a hands on role with the Springboks next year and Vermeulen would be one of the front-runners to captain the Springboks. The 31-year-old boasts 39 Test caps, but has only played four times for the Boks over the last two seasons. Meanwhile, according to French rugby publication, Midi Olympique, Toulon have identified 81 Test capped All Black Jerome Kaino as their front-runner to replace Vermeulen. Toulon are believed to be close to finalising a deal with the star New Zealander.